He is the answer to No. 3. Baseball in Cleveland harkens to the days of the Forest Citys of the 1860s. This baffling quiz does not travel quite so far back in time. Major League baseball in the city by Lake Erie began in 1901 with the Cleveland Bluebirds (often shortened to “Blues). By 1902, the Bluebirds had unofficially become the Bronchos (or Broncos). From 1903-14, the team was the Naps. Since 1915, they have been the Indians. Cleveland has won five American League pennants and two World Series titles, in 1920 and 1948. Which Indians second baseman won four batting titles in Cleveland after batting a career-high .426 for the 1901 Philadelphia A’s? Which Indians shortstop died after being hit in the head with a pitch in 1920? Which Indians center fielder compiled a .345 lifetime batting average for the Tribe and three other teams? Which Indians ace once struck out 17 batters at the tender age of 17? Which Indians shortstop won the 1948 MVP? Which Indians batter flew out deep, and memorably, to Willie Mays in Game 1 of the 1954 World Series? Which Indians fire-baller was hit in the eye by a Gil McDougald line drive on May 7, 1957? Which Indians pitcher struck out 19 batters in a 10-inning game in 1968? Which Indians player-manager belted a home run on April 8, 1975? Which Indians pitcher hurled a perfect game on May 15, 1981. Napoleon Lajoie, out of Woonsocket, R.I., hit .338 during a 21-year Hall of Fame career. 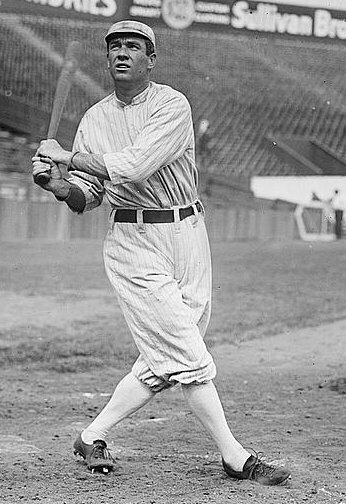 The Philadelphia Phillies signed Lajoie in 1906. The Frenchmen jumped to the A.L.’s Philadelphia A’s in 1901 before being traded to Cleveland early in the 1902 campaign. Ray Chapman liked to crowd the plate. Carl Mays liked to throw inside. On Aug. 16, 1920, that was a fatal combination late in the afternoon at the Polo Grounds in upper Manhattan. Mays’ pitch nailed Chapman in the head. His skull fractured, Chapman died about 12 hours later. Signed by the Cleveland Indians in 1936, teenager Bob Feller made his Major League debut on July 19th of that year. On Sept. 13, he fanned 17 Philadelphia A’s batters. The Heater from Van Meter (Iowa) retired with 2,581 strikeouts in his Hall of Fame career. Lou Boudreau impressed baseball people with his talent and his intelligence. Before the 1942 season, Cleveland owner Alva Bradley promoted the 25-year-old shortstop to player-manager. Boudreau managed the team through the 1950 season and to a World Series title in 1948. The Hall of Famer batted .295 in his career, most of it spent with the Indians. He hit .355 in ’48 with a .453 on-base percentage. Vic Wertz batted .277 and made four All-Star teams during a 17-year career. He is most famous today, though, for a 450-foot drive that he hit in the 1954 World Series. New York Giants great Willie Mays tracked the ball down. Experts called Herb Score a left-handed Bob Feller, and it looked that way for a while. He struck out 245 batters in his rookie season of 1955 and followed that with 263 the following year. On May 7, 1957, a month shy of his 24th birthday, Gil McDougald of the New York Yankees ripped a line drive in the first inning that struck Score in the face. The damage to his eye eventually healed, but Score hurt his arm soon after the incident. He retired early in the 1962 season with a 55-46 won-loss record and 837 strikeouts in 858.1 innings. It was the year of the pitcher, 1968, and Luis Tiant was one of the best. The right-hander from Cuba went 21-9 with a 1.60 ERA (186 ERA+, 8.4 WAR) that season. He struck out 19 Minnesota Twins in a 1-0 victory on July 3. Frank Robinson enjoyed one of the greatest careers in baseball history. He batted .294 with 586 home runs and 1,812 RBI. The Indians hired him as the game’s first African-American manager in 1975. Robinson also served as the team’s designated hitter that year. In his first at-bat, he hit a home run off Doc Medich of the New York Yankees. No pitcher had thrown a perfect game since Catfish Hunter tossed one May 8, 1968, against the Minnesota Twins. Len Barker tossed his perfecto, the 10th in MLB history (eighth of the modern era), on May 15, 1981, against the Toronto Blue Jays. Bob Feller opened the 1940 season with something special. Opening day, April 16, 1940, Comiskey Park in Chicago. Bob Feller, the bullet-tossing right-hander from little Van Meter, Iowa, takes the mound for the Cleveland Indians. Not surprisingly, a spring wind whips off Lake Michigan and around the park. Feller, who learned to throw a curveball at the age of eight and who was, according to Ted Williams, “the fastest and best pitcher I ever saw in my career,” doesn’t mind the breeze. This 21-year-old enjoys the greatest opening day ever. The future Hall of Famer throws a no-hitter, the only opening-day no-hitter in baseball history. “Rapid Robert”, a straight talker, said in a 2010 MLB.com article that he struggled a bit with his control in the early innings against the White Sox. “I was a little wild,” he said, a 91-year-old man looking back at a 70-year-old ballgame. Feller joked that the season went downhill from opening day. “We lost the pennant by one game to Detroit,” he pointed out. The Indians ace, though, finished with a career-high 27 wins and a 2.61 ERA. He led the American League in strikeouts for the third straight season (261) and also finished first in games started (37), complete games (31), shutouts (four) and innings pitched (320.1). Only the Detroit Tigers’ Hank Greenberg beat out Feller for MVP. The Heater from Van Meter, a first ballot Hall of Famer, threw two more no-hitters in his career and insisted that none was better than the one he tossed in 1946 against the New York Yankees. He had to get out Tommy Henrich, Charlie Keller and Joe DiMaggio in the ninth inning on the road. Even so, throwing a no-hitter on opening day is special. Every team goes into the season with a sense of optimism, a feeling—however fleeting—that this may be the year, no matter what happened last year. Losing streaks may be still to come, but a no-no starts the season right. Fans wanted to know just how hard Bob Feller could throw a baseball. Could he throw one harder than Walter Johnson? Or “Smokey Joe” Wood? The Heater from Van Meter, Iowa, really did bring it. In this video clip from 1946, you can see the Indians’ fireballer hurl a pitch at 98.6 mph, as clocked by U.S. Army ordinance equipment typically used to measure artillery shell velocity. 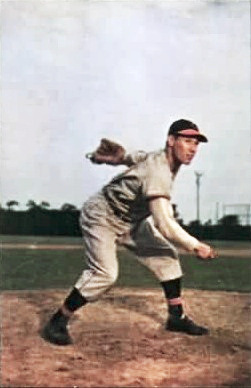 Bob Feller won 266 games in his 18-year career, all with the Cleveland Indians. In 1940, Feller’s four-seamer took on a Harley-Davidson motorcycle at Lincoln Park in Chicago. Lew Fonseca, a former ballplayer and a producer of baseball instructional films, organized the event. Feller, dressed in a suit and a pair of wingtips, unfurled his fastball moments after the motorcycle flashed by him at 86 mph. The ball tore through a paper bull’s-eye target, about three feet ahead of the Harley. Fonseca followed up the pitch with some mathematics. He estimated Feller’s heater at 104.5 mph, worthy of the fast lane even on the Autobahn. If accurate, Feller certainly belongs in short company for title of fastest pitcher ever. Later in life, Feller explained why he accepted the invitation to fire a baseball as hard as he could on a closed-off street in one of our most famous urban parks, a motorcycle barreling past him. “I was there because we all wanted to know, deep down, who was the fastest of all time,” Feller told Tim Wendel in the 2010 book High Heat: The Secret History of the Fastball and the Improbable Search for the Greatest for the Fastest Pitcher of All Time. 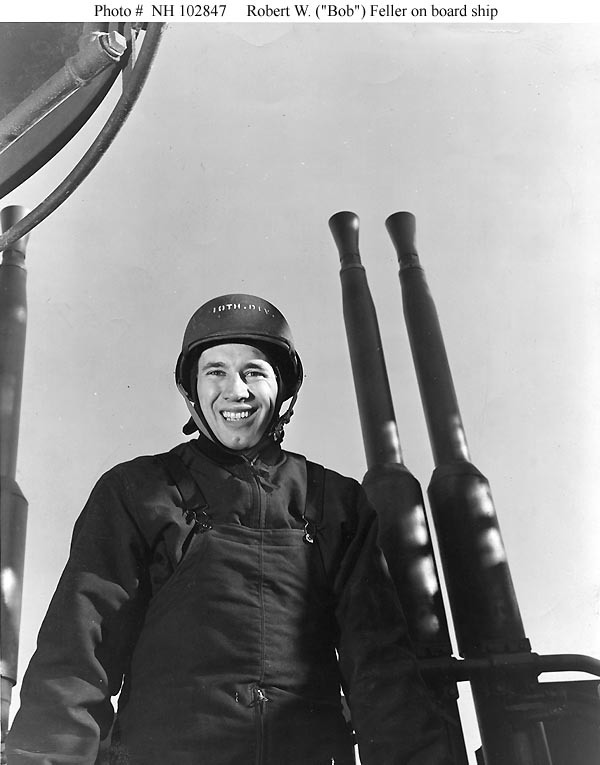 Bob Feller served aboard the USS Alabama during World War II. All fuzzy-cheeked and loose-armed, Feller made his big-league debut as a 17-year-old. He struck out 15 batters in his first start and 17 in his second. As a rookie in 1936, he went 5-3 and punched out 76 hitters in 62 innings. This was how he spent his summer vacation before returning to Van Meter High School for his senior year. “Rapid Robert” tossed three no-hitters and 12 one-hitters in his career. He led the American League in strikeouts seven times and fanned 2,581 batters, including 348 in 1946. Feller finished with a lifetime won-loss mark of 266-162 and a 3.25 ERA. Cleveland’s greatest pitcher ever, and its fastest, led the league in wins six times and easily made it into the Hall of Fame in 1962, his first year on the ballot, with 93.75 percent of the vote. His total remains the 17th best all-time. When writing about Feller, it’s always important to note that he missed the 1942-44 seasons, and part of the 1945 season, while serving in the U.S. Navy during World War II. 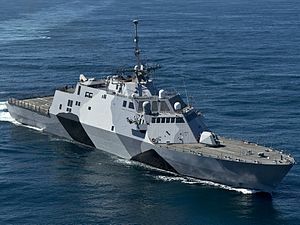 Feller earned eight battle stars as chief of an anti-aircraft gun crew aboard the U.S.S. Alabama. Feller, who died in 2010, would have turned 96 years old yesterday.